Summer is upon us. It is sweltering hot in Atlanta and the perfect time for frozen concoctions. I’ve been consuming a lot of ice cream lately, thanks to the weekly visits to the ice cream parlor with my son. 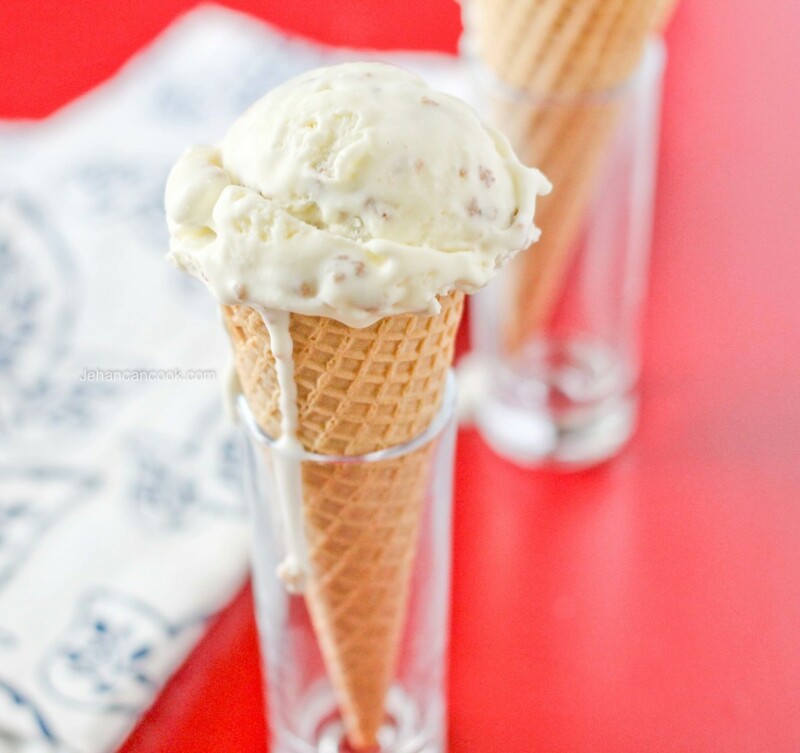 Here’s a collection of ice cream creations to try this summer. This past weekend instead of venturing out, I decided to try a no churn ice cream recipe that’s popped up all over the internet. 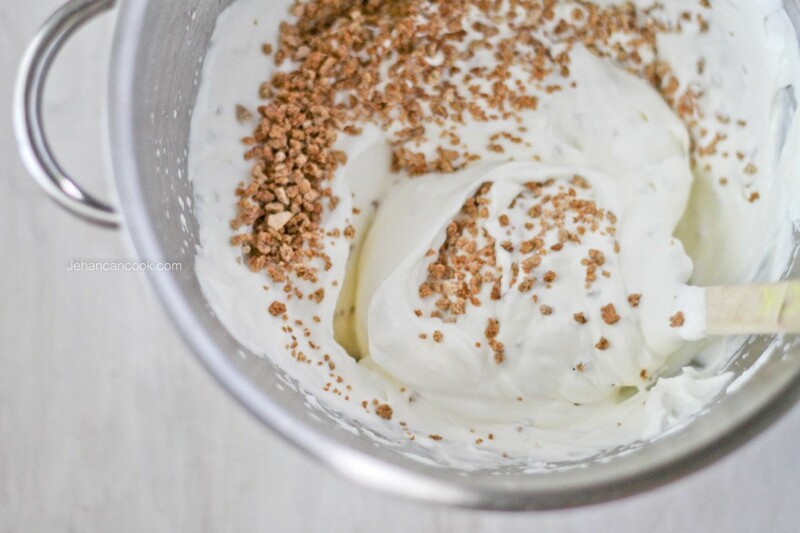 All you need is two simple ingredients and a mixer and you have smooth, luscious ice cream. I made a simple vanilla ice cream the first time to test the recipe and found that it was a bit sweet. The texture was so smooth and had less ice crystals than regular ice cream which made it even better. This weekend I made another batch, this time adjusting the amount of condensed milk and adding Grape nuts. It was perfection! I chose Grape nut because it was one my husband’s favorite ice creams and he introduced it to me some 16 years ago when we first met. Apparently it’s quite popular in Jamaica, where he’s from. I love how versatile this recipe is and will definitely be in heavy rotation this summer. 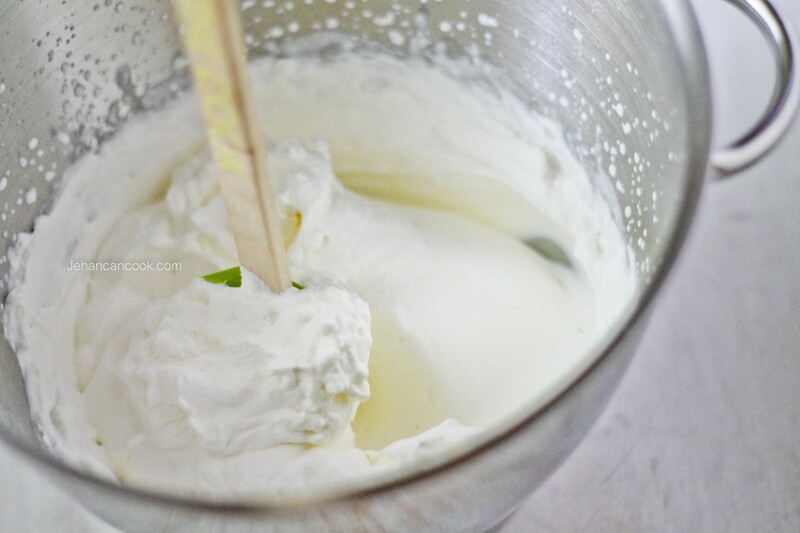 Place cold heavy whipping cream in a large bowl and using the whisk attachment on a mixer, whip until it reaches a stiff peak. You will know when it’s at a stiff peak when you lift the mixer out of the cream it will form a peak that stands straight up. 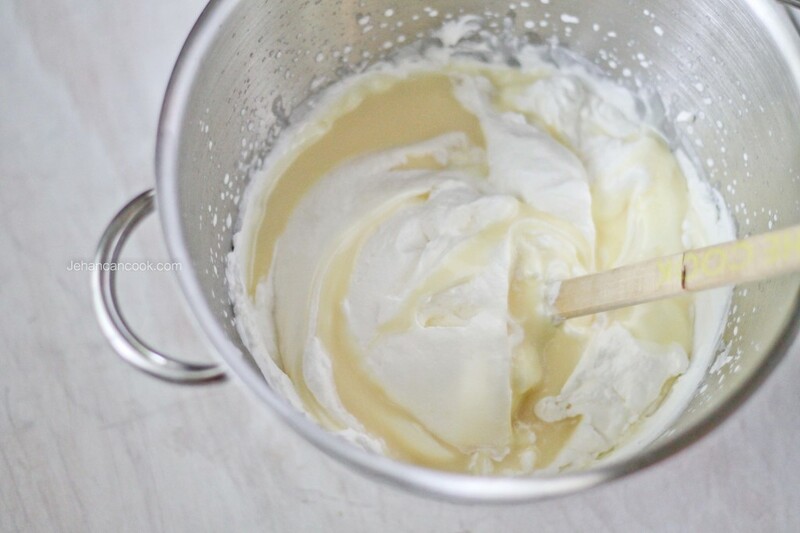 Next fold in condensed milk and vanilla; do not beat or this will cause the whipped cream to lose volume. Then stir in Grape Nuts. Place in a large bowl and smooth the top then cover. Place in a freezer for at least 6 hours or until frozen. To serve, let sit at room temperature for a few minutes, then scoop. Sponsored by Foodie.com but all opinions are my own. What a seriously love ice cream! I love the creaminess of it! Thanks Jocelyn, its definitely a winner. Jehan thank you for this simple but amazing recipe , I am having some as I write this message . Melanie, thank you. Isn’t it so simple??? And really good!